Officials plagued by punctured tires, hacked emails and mysterious break-ins. 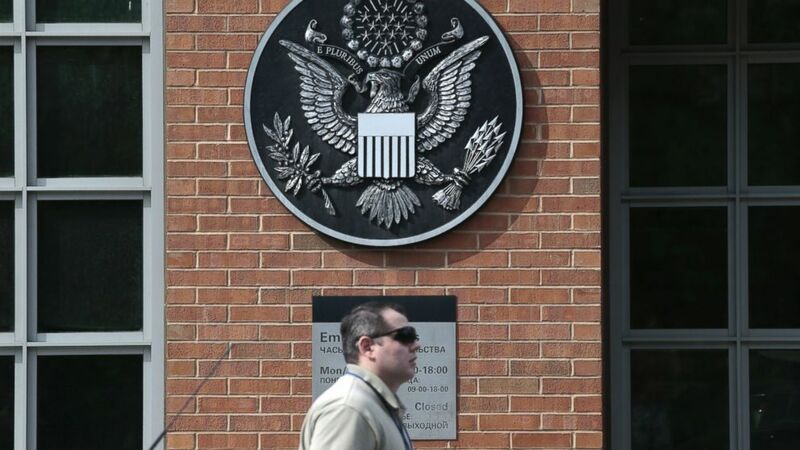 camera (Ivan Sekretarev/AP Photo) A view of the main building of the U.S. Embassy in downtown Moscow, Russia, is seen in this, May 14, 2013, file photo. One American diplomat's tires were slashed. Another's personal email was hacked. Still others reported mysterious break-ins. The incidents are all signs, U.S. officials and experts said, that aggressive, Soviet-era counterintelligence tactics are back in fashion in Russia. The number of incidents targeting American diplomats in Moscow has increased in recent years to levels not seen since the Cold War, officials said. Taken together, they paint an escalating pattern of intimidation and harassment that is believed to be led by Russia's Federal Security Services (FSB), a successor to the Soviet KGB. 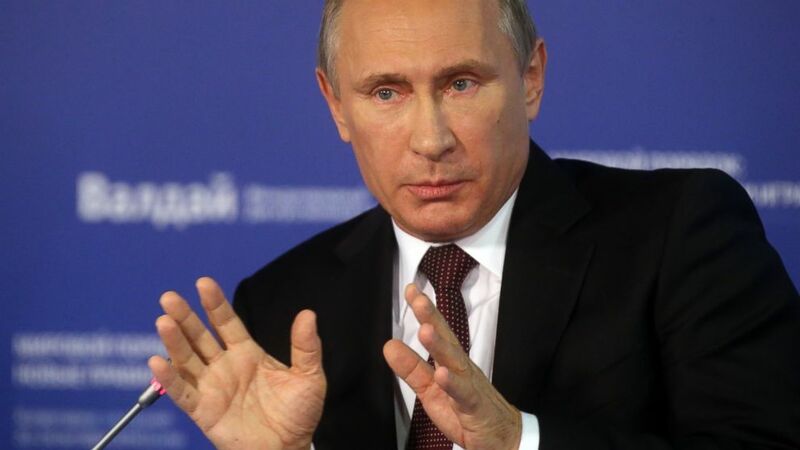 (Sasha Mordovets/Getty Images) Vladimir Putin is pictured on Oct. 24, 2014 in Sochi, Russia. The trend has alarmed officials back in Washington, who have complained about the treatment to Russian officials at the highest levels, including President Vladimir Putin. Officials said the level of harassment increased sharply this year as U.S.-Russia relations plunged to their lowest level in decades amid the Ukraine crisis. They, and others interviewed for this article, spoke on the condition of anonymity in order to discuss sensitive diplomatic and security matters. The embassy first noticed an uptick when anti-government protests began in late 2011. Embassy officials observing the rallies were tailed closely by Russian security agents. It marked first ripples of a tidal wave of anti-Americanism, whipped up by state-run media. The drumbeat really began to pick up, however, after Putin returned to the Kremlin in 2012. In a particularly egregious breach of diplomatic protocol, some of the most conspicuous and aggressive actions targeted Michael McFaul, who was the U.S. ambassador until last February. The concern was noted in a periodic audit by the State Department's internal watchdog, which was published late last year. "Across Mission Russia, employees face intensified pressure by the Russian security services at a level not seen since the days of the Cold War," the Office of Inspector General wrote. The report referenced a "separate classified annex" on security issues that has not been made public. Officials familiar with the annex said it devoted more attention to harassment of embassy staff than previous reports. In a rare public acknowledgement of the issue, when asked about the IG's report, embassy spokesman Will Stevens told ABC News: "Embassy and State Department officials have discussed issues of harassment of American staff with various interlocutors within the Russian Government." 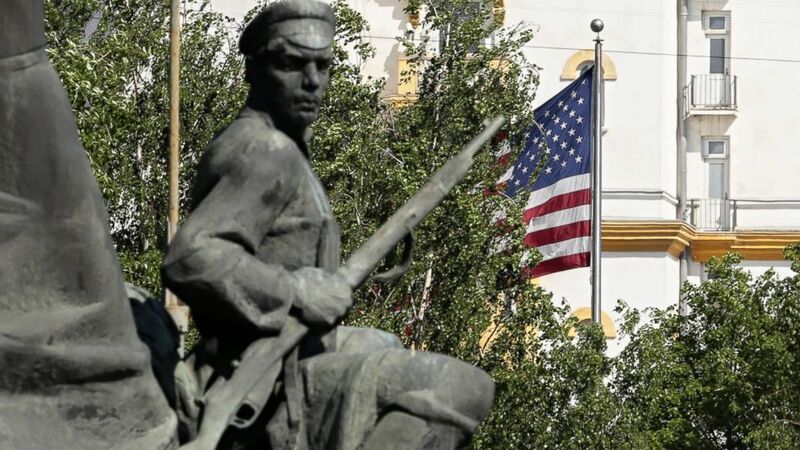 (Ivan Sekretarev/AP Photo) A monument to Russian revolutionary workers with the U.S. flag and the U.S. Embassy in the background seen in downtown Moscow, Russia. According to two officials, President Obama complained about the treatment during a meeting with President Putin. Earlier this month, Secretary of State John Kerry also confronted Russian Foreign Minister Sergei Lavrov, two other officials said. Some of the alleged Russian actions seemed petty. In several instances, U.S. officials returned home to find their belongings had been moved or a window left open in the middle of winter. American diplomats have also been trailed more overtly by Russian security agents. Others attempted to interfere with diplomatic work, like disrupting public meetings with Russian contacts. 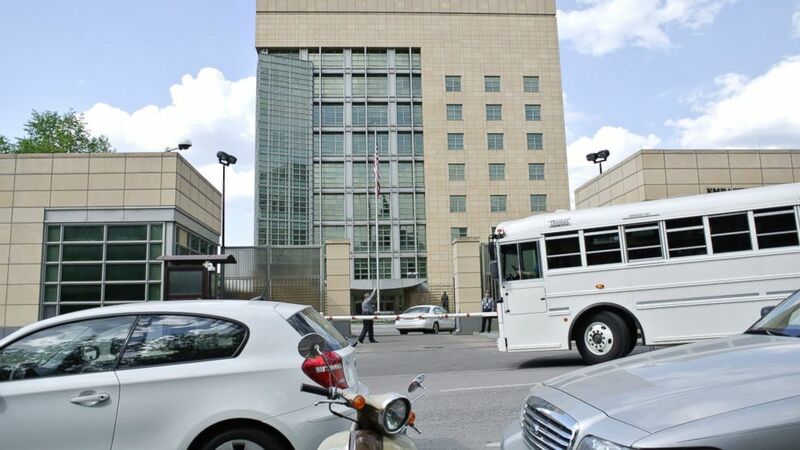 Uniformed guards provided by Russia to stand outside the embassy, ostensibly for protection, have harassed visitors and even employees trying to enter the building. Russians who work or meet with the embassy have also been intimidated, U.S. officials said. Several had been warned by shadowy individuals to discontinue their contacts with American officials or face unspecified hardships. Russians authorities have also stepped up pressure on programs run by the U.S. embassy. Earlier this month, a pair of American reporters conducting a journalism workshop in St. Petersburg, in cooperation with the embassy, were hauled to court for alleged visa violations even though they were able to run a similar program under the same type of visa on an earlier trip. (Ivan Sekretarev/AP Photo) A man passes an entrance of the U.S. Embassy in downtown Moscow, Russia, on Tuesday, May 14, 2013. Experts say the goal of these intrusive actions is different from covert surveillance or attempts to recruit spies, which have intelligence value. This is all about psychological pressure. 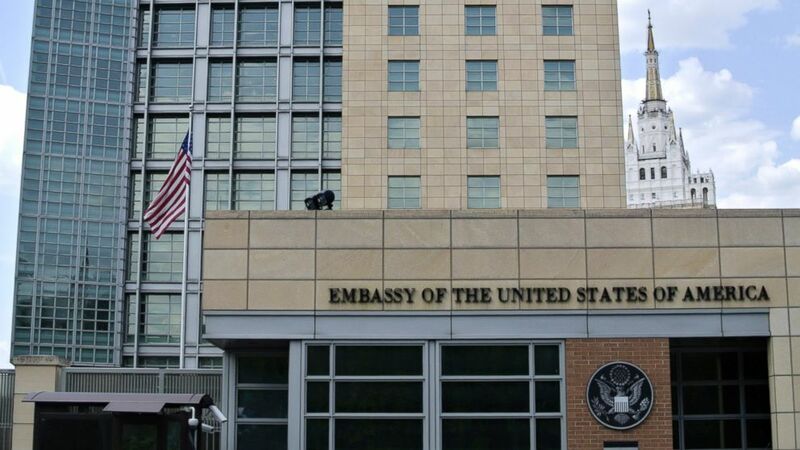 "It's not only a way of getting the embassy staff off balance, it's making people think of them as toxic and not worth talking to, not worth being seen with," said Mark Galeotti, a professor at New York University who specializes in Russian security matters. Life under constant surveillance has long been the accepted reality for American officials working in Russia. They arrive with the expectation that their every conversation will be monitored and every movement followed (they also earn a pay bonus because that environment qualifies Russia as a "hardship post"). Most officials said they do not feel their physical security is threatened. Still, Russia's security apparatus has not shied away from using surveillance in the past to punish pesky diplomats. In 2009, the same Russian security services were believed to be behind an Internet video showing a married American diplomat under surveillance and then appearing to have sexual relations with another woman, a so-called "honeytrap." The embassy at the time denounced the tape as a fabrication in retaliation for the diplomat's work on human rights in Russia. The current string of incidents, however, seems more broadly aimed at treating the United States with hostility. In that sense, Ambassador McFaul was public enemy No. 1. The inspector general's report described the ambassador's treatment as "a level of petty and more serious harassment far exceeding that experienced by his predecessors." "Unwarranted public criticism and intrusive surveillance were common," the report said. (Ivan Sekretarev/AP Photo) Cars and a bus pass the main building of the U.S. Embassy in downtown Moscow, Russia. Ambassador McFaul was followed almost everywhere he went in an aggressive, at times threatening way by both Russian security agents and pro-Kremlin television stations, even while attending private events with his family. In one notably flagrant episode, according to officials, McFaul was stranded in the Russian Foreign Ministry parking lot after police stopped his driver for a minor infraction and revoked his driver's license on the spot. The ambassador himself frequently complained publicly about his treatment. He eventually lashed out on Twitter, alleging that someone had been hacking his inbox and tapping his phones. McFaul, now a professor at Stanford University, declined to comment. Veteran diplomats said they were shocked by McFaul's treatment, but added that they faced similar harassment as lower level officials in Moscow during the depths of the Cold War. "Security services have traditions of behavior. Certainly, our hosts in Moscow do. They are employing old techniques and patterns of behavior that are familiar," said James Collins, the U.S. ambassador to Russia from 1997 to 2001 and now at the Carnegie Endowment for International Peace. Collins has witnessed the ebbs and flows of U.S.-Russian relations, dating back to his time as a graduate student in the Soviet Union in the 1960s and, later, when he served at the embassy in the 1970s and again during the collapse of the Soviet Union. Even in relatively friendly times in the 1990s, he said, U.S. staff members knew they were being watched. The tactics described today, however, were similar to ones he and his fellow diplomats endured in the 1970s. "Right now, I think we are in a hostile environment in Moscow where the authorities are indeed sending the message that Americans are to be considered with suspicion," Collins said. Galeotti, the expert on Russian security, said the return to Soviet-era tactics are a symptom of power shifts within the Russian government. "It reflects a wider swing back to the good old KGB days, as some of the veterans would think of them -- days in which the Soviet security services were much more sharp elbowed and the intelligence community could operate with fewer constraints," he said. Russia's Foreign Ministry declined to comment before this report was published. Both American and Russian officials have dismissed suggestions that they have returned to the Cold War. But if these alleged Russian actions are any indication, American diplomats are already being treated that way.